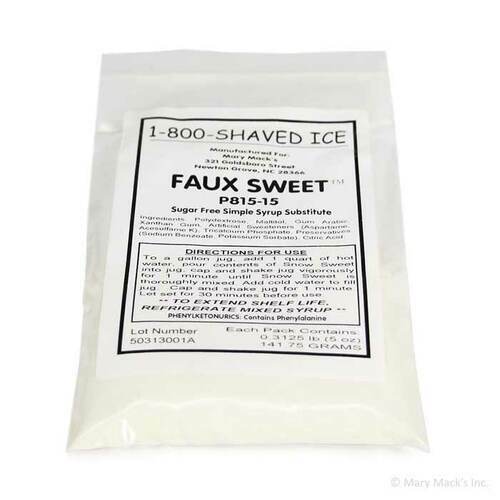 Ideal for snow cone/shaved ice carts that need to cater to customers with dietary restrictions, the Faux Sweet Sugar-Free Simple Syrup Substitute uses a simple low-carb, sugar-free snow cone syrup recipe to create a tasty, health-conscious version of an all-time favorite every time. 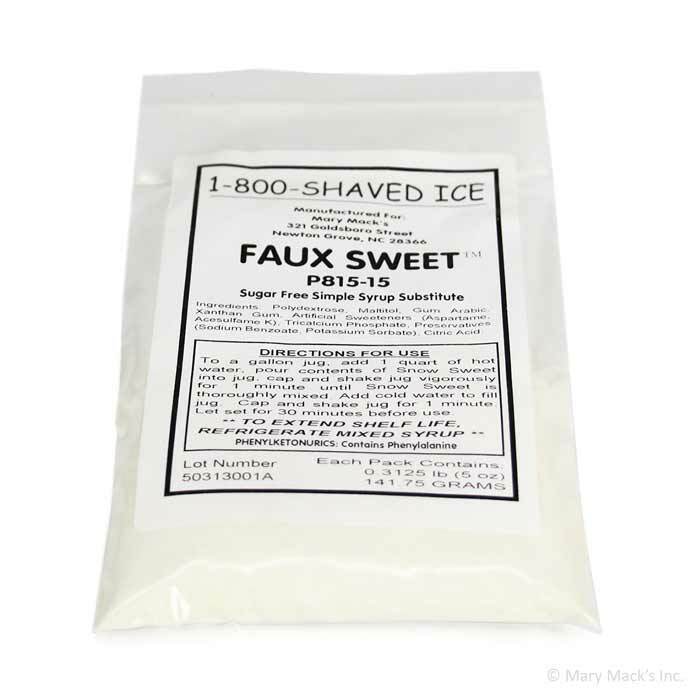 Simply combine one pack of Faux Sweet with 1 gallon of water and then add any sugar-free shaved ice flavor concentrate to create a sugar-free, low-carb option for your customers. Each half cup of prepared syrup has 5 calories and 4 grams of carbohydrates. 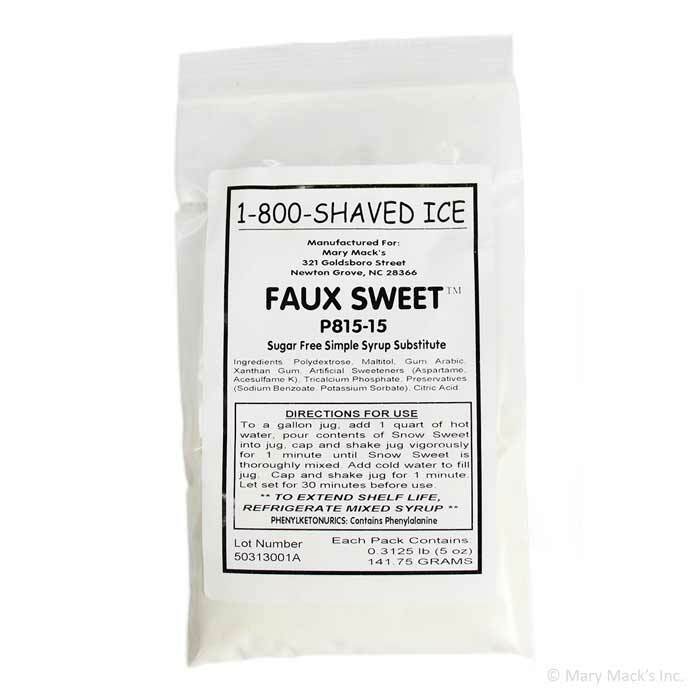 1-800-Shaved-Ice carries sugar free flavors to pair with this shaved ice sugar free syrup. Important: Flavor concentrates will vary. 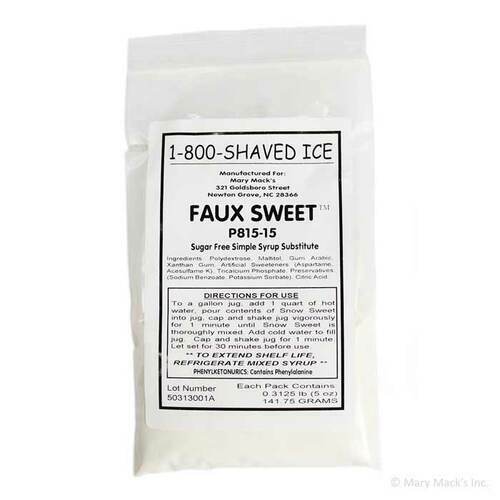 Please check concentrate ingredient labels to ensure that the concentrate contains no sugar.